For his entry into politics, he was supposed to be a 'sweeper', hoovering up votes for heavier hitters. Then he just swept up far too many votes and got himself elected as a TD. Away from the political bubble and outside Co Mayo, Dara Calleary is not so well known. But the man who quietly stole into Dáil Éireann in the May 2007 general election is actually steeped in politics generally, and Fianna Fáil politics particularly, as his father Seán and grandfather Phelim served as Mayo TDs. Now he is the deputy leader of the main party of Opposition, which is propping up this strange minority Coalition led by Fine Gael. In the opinion polls, Fianna Fáil is suffering from a lack of definition and Taoiseach Leo Varadkar's Teflon quality, thanks to an end to recession and thus-far good handling of Brexit. There was surprise when this 44-year-old Ballina man became the party's first deputy leader since 2012. There are many theories about his sudden elevation and the machinations attending it. But those who know Dara Calleary are well aware of his ability, work rate, and decency. 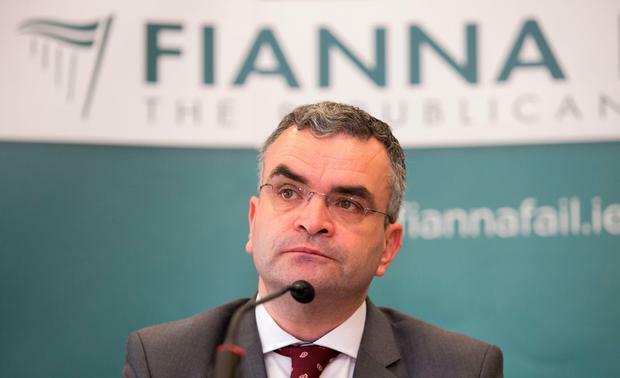 He is among the few in the current party with government experience, albeit as junior enterprise minister for the final two years of the ill-starred Fianna Fáil-Green Party coalition. A TCD graduate in business and politics, he has a good grasp of policy and is a very competent media performer, capable at times of defending difficult cases. He is also an Irish speaker and regular contributor to Raidió na Gaeltachta. His appointment, without a government minister to mark, is another signal that Fianna Fáil is preparing to pound the election beat. Given the complexity of election preparation, the appointment is a vote of confidence in him. His engagement with Fianna Fáil goes back to 1994 when he was elected to the party's youth committee and he later served on the Árd Comhairle.